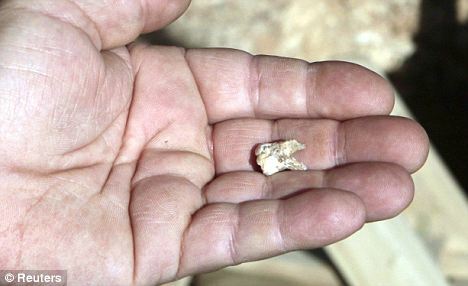 Archeologists from Tel Aviv University say eight human-like teeth found in the Qesem cave near Rosh Ha’Ayin – 10 miles from Israel’s international airport - are 400,000 years' old, from the Middle Pleistocene Age, making them the earliest remains of homo sapiens yet discovered anywhere in the world. 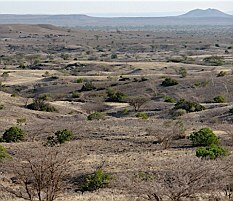 The findings of Professor Avi Gopher and Dr Ran Barkai of the Institute of Archeology at Tel Aviv University, published last week in the American Journal of Physical Anthroplogy, suggest that modern man did not originate in Africa as previously believed, but in the Middle East. A group of international and Israeli researchers have discovered pre-historic artefacts and human remains at the site that may prove the earliest existence of modern man was about 400,000 years ago. 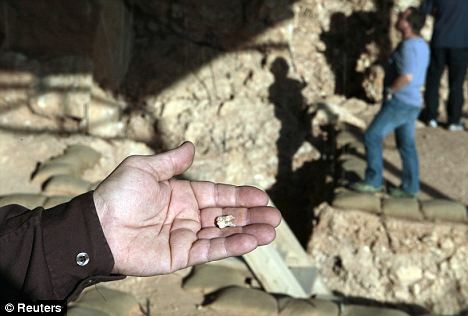 The explorers said they were continuing to investigate the cave and its contents, expecting to make more discoveries that would shed further light on human evolution in pre-historic times. I had serious doubts about the 'Out of Africa' theory for a long time.The archeological evidence did not confirm what the 'Eve theorists' were saying about the genetic evidence;the Mungo man,and the Lapedo boy (Neanderthal/AMH hybrid)discoveries raised serious doubts.